London South Bank University Vice-Chancellor Professor David Phoenix has been presented with the Confucius Institute Individual Performance Excellence Award at a prestigious ceremony in China. The award was presented as part of the opening ceremony of the 9th Confucius Institute Conference, where representatives of more than 400 Confucius Institutes (CI) worldwide were welcomed by Hanban - a public institution affiliated with the Chinese Ministry of Education which coordinates the CI programme. 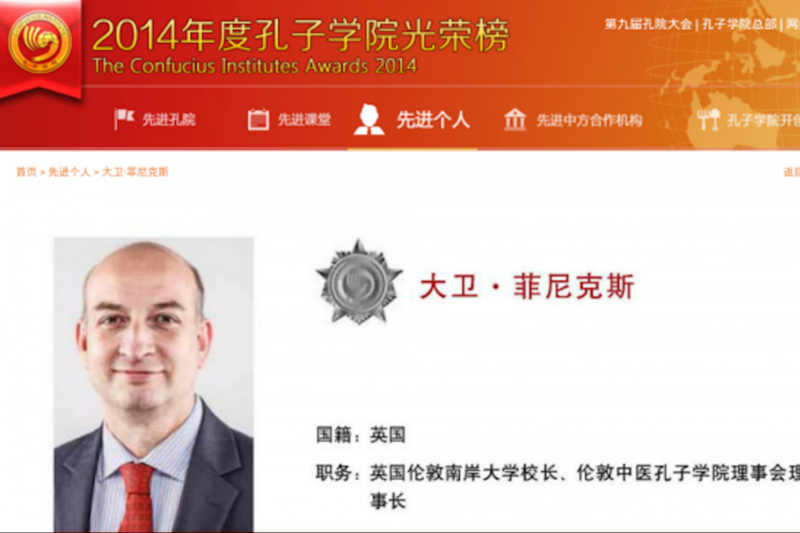 Professor Phoenix was one of only 30 people affiliated with the global network of Confucius Institutes to receive the award - which recognises exceptional service and leadership. Given the significance of the award the presentation was made by China’s Vice-Premier, Liu Yandong. “I have worked with colleagues in China for a number of years and believe there is great opportunity for London South Bank University, as well as benefits to the wider UK economy, from partnerships between China and the UK. China’s economy is one of the largest in the world and many businesses will be working with Chinese organisations at some point in the future. 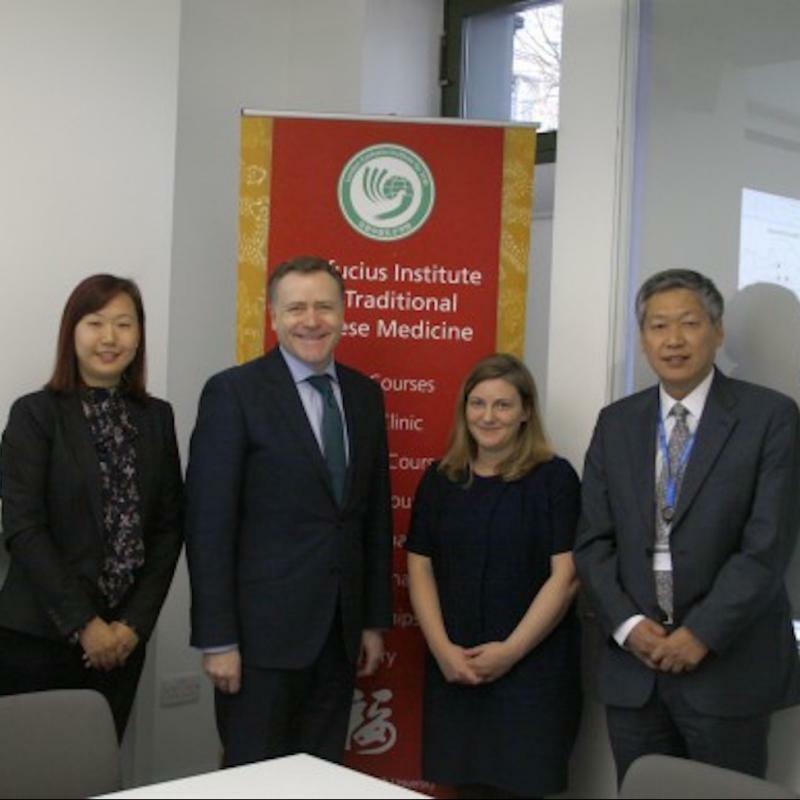 The Confucius Institute for Traditional Chinese Medicine (CITCM) at London South Bank University is one of the first Confucius Institutes in the world to focus on Traditional Chinese Medicine. 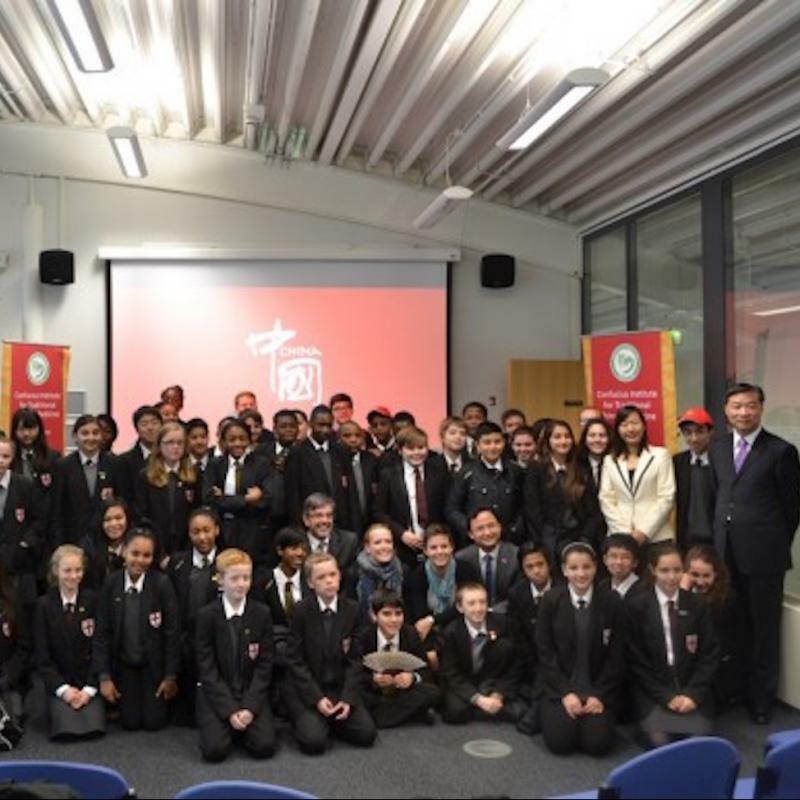 Partnered with two Chinese universities - Heilongjiang University of Chinese Medicine and Harbin Normal University - the CITCM receives Chinese teachers to the UK to support teaching and learning of Chinese culture and language. It also supports joint research activities with the School of Health and Social Care and LSBU students opportunities to study in China.